Want to be gorgeous in green? You can be, with this Victorian period pressed green glass cameo brooch. It is set in a gilt brass frame and hand with hand painted enameled red roses. 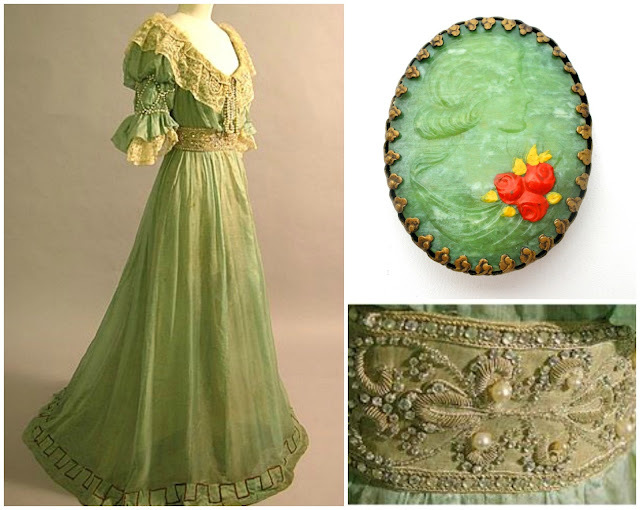 Victorian green cameo brooch can be found here.